Peter Heise taught at Sorø Academy from 1857 to 1865, and Andersen often asked the writer B.S. Ingemann, who also lived in Sorø, to convey his kind regards to him. 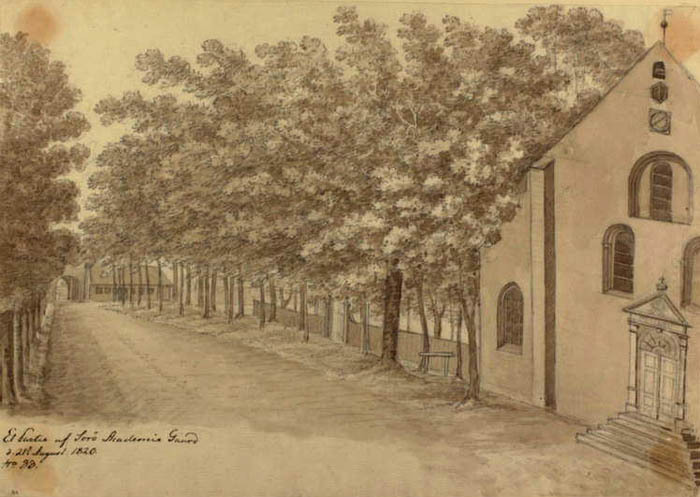 Drawing of the courtyard of Sorø Academy, August 1820. By Ole Jørgen Rawert.